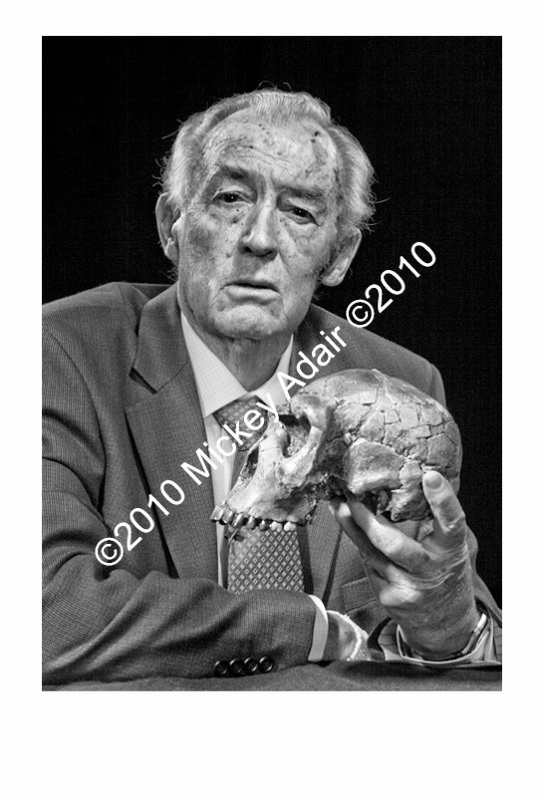 Paleoanthropologist Richard Leakey was photographed on the stage of the Fallon theater at FSU. He is holding a casting of the skull of the 1.6 million year old skeleton his team found in Kenya of Turkana Boy, believed to be the oldest known skeleton of Homo Erectus. The skull was loaned to me by Glen Doran, the chairman of the Anthropology Dept. at FSU. Mr. Leakey lost both his legs in a plane crash and quite ably walks on prostheses. I first shot digital images prior to his speech on the other side of the curtain. I asked if he'd return afterward and allow me to photograph him with the Linhoff. He said that he used to own a Linhoff and it means that he had to hold perfectly still. What more could you ask of a portrait subject?